Download the latest economic outlook for Q2 2019! 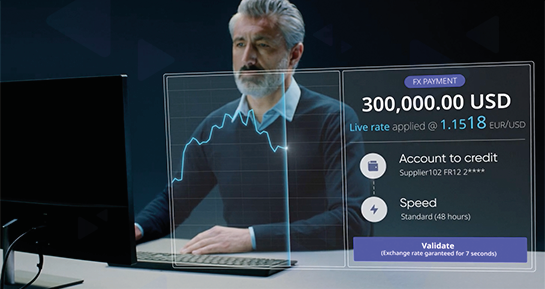 Using cutting edge technology, the iBanFirst web platform combines a full range of financial products and services with a modern and robust core banking infrastructure to deliver unrivaled quality of service. Many events are likely to impact volatility in the foreign exchange market this quarter. This guide provides you with a comprehensive overview of the global macroeconomic outlook, allowing you to anticipate the currency fluctuation risks that your company may face in the second quarter. A key event in the entrepreneurial and financial world, Fintech R:Evolution brings together more than 1200 participants each year. Entrepreneurs, influencers, decision-makers, researchers, investors, journalists: the French and international fine-technical scene meets to exchange ideas and consider what the future could bring to the sector. The Sommet des Leaders de la Finance will be held on Thursday, April 11 at the Pavillon d'Armenonville in Paris. This day will bring together, for its 9th edition, 1300 key players in corporate finance.